What is a brand? Why is it worth so much to companies to create? Are companies losing control over branding to online reviews? Or did they ever really have control? 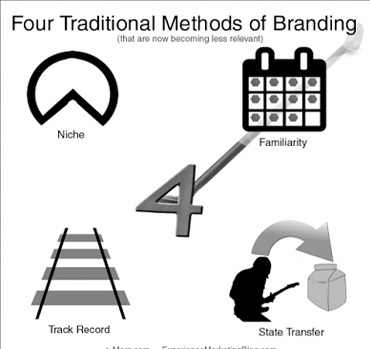 Let's start with defining what a brand is. It is a state the marketplace associates with a company. A state is gestalt of internal images, sounds, and feelings. When branding works, that branded state adds value to the customer by saving time and thought with a decision shortcut . Think of a city having traffic problems: for example, the clogged rush hour arteries in and out of the peninsula of my home city of Charleston. If the city traffic represents the thinking that goes into a purchase decision, a good brand is like a easy flowing but possibly expensive toll road that bypasses the congestion. The slow city traffic represents a carefully considered buying selection whereas branding zips the buyer right to a purchase decision. The company pays that toll for the drivers with its branding efforts and its success determines how many driver-buyers take advantage of it. Defining the Niche by occupying a particular section of the overall marketplace. This can be good or bad for a company. Once a niche is associated with a brand, it can be hard to move from there. Volkswagen's Phaeton Luxury car, built on the same platform as some Bentley and Audi luxury cars, sold poorly because the "people's car" segment didn't stretch that far up. Toyota invented the luxury Lexus brand to circumvent that issue, which it did very effectively. Familiarity: Repetition can create trust. Repeatedly impressing a name and visual anchors like a logo on the marketplace means it has more weight and can becomes the obvious choice within its category. The Traditional Advertising Industrial Complex may be losing influence now but it helped achieve this for brands like Tide. Confidence from a proven Track Record: Toyota has built a reputation for reliability and Apple for products that are user friendly. These associations create an attractive glow around their brands that illuminate new products so long as they continue to uphold the winning record. State Transfer to a company or product: Advertising can evoke positive feelings from an unrelated source then associate it with a product or company. Inspiring music and celebrity appearances are two ways this can be done. Ozzy Osbourne's "Crazy Train" in a Honda Pilot commercial (of all things, right?) is one example. And, in addition to this intentional branding, ;there is also accidental branding. After all, companies aren't totally in charge of their brands. The marketplace has the final say. When the marketplace disagrees with the intended brand and accidental branding takes over, that toll road leading to a purchase can be blocked with a "road closed" sign. The customer service nightmare that was Comcast's cancellation call from hell went ;viral and confirmed many peoples' worst fears about Comcast. When United Airlines broke musician Dave Carroll's guitar and refused to make matters right, he wrote protest songs about it. The songs became viral hits to United's embarrassment. Paypalsucks.com ;is an example of how corporate hate websites can emerge as central hubs for discontent. Negative online sentiment doesn't have to take such an extreme form as these train wrecks to impact a business, though. A steady stream of less-than-happy reviews or social media commentary ;can erode the edifice of what was intended to be a foundation built by a strong intentional brand. 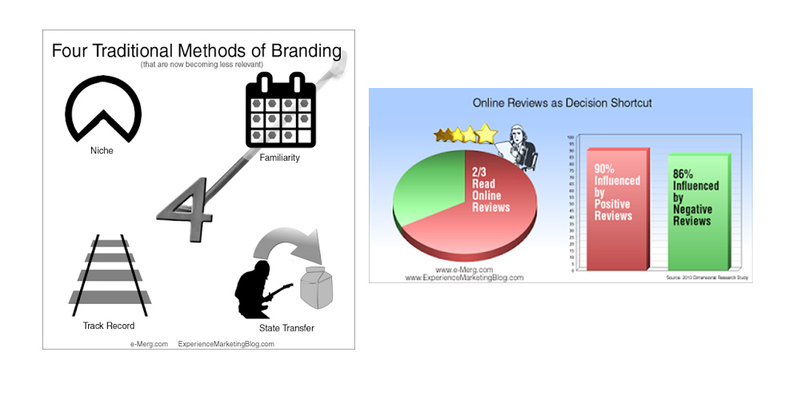 Online reviews can circumvent the dynamics of branding altogether. ; A buyer can use online reviews as a helicopter ride straight to a decision instead of either the slow traffic of a considered purchase or the fast track toll road of a brand. My aunt was recently in the hospital in Wilmington, NC for back surgery. 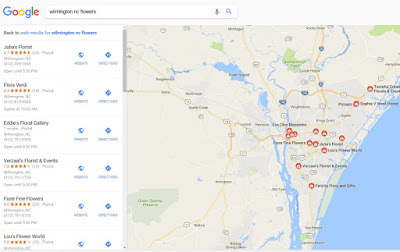 My family here in Charleston wanted to send flowers, so Google to the rescue: I searched for "Wilmington NC Flowers". With a list of florists ;in the left column with their respective 1-5 star ratings underneath, picking one ;was easy: I picked the one with the most stars. I took the online reviews helicopter. ;No brand effect toll road was necessary. So a new decision shortcut threatens King Branding as the ruler of consumer choice: Online Reviews. Need more convincing that online reviews drive decisions? 90% of them said positive reviews influenced buying decision. The result of all this is that the exchange rate of branding currency is dropping. A brand intention doesn't mean much anymore unless it is congruent with the real experiences of customers who are now empowered by the web to share stories of their engagement with the company. So there needs to be congruence between an intended brand and customer experience. How do you get this match between the intended brand and the stories customers share on the internet? To market effectively in the new economy , a business needs to create distinctive, positive customer experiences aligned with the intended brand. Online reviews clearly impact buying decisions and for many purchases are the primary way of sorting options. Social media gives customers a platform to tell their audience stories about a brand as well. Transparency is the rule now and we need to act accordingly. A company is properly doing experience marketing when the customer journey is orchestrated for specific positive feelings through every interaction with the company, not just the experience of using the product or service. Experience Marketing is the strategy. Online Reputation Management is the effect. The experience is the brand. Every touch point with a company is a relevant part of the experience. Instead of "reputation management" think "experience design". Create great customer experiences to harvest authentic positive reviews. People smell contrived or fake reviews from a mile away. If marketing is operating with a short term perspective, open it into a more strategic view. The company's values and beliefs should support great customers experiences. If not, start there. The culture should also encourage customers spreading the word as evangelists. To summarize, with attention spans growing ever shorter in the age of distraction, decision shortcuts are of ever greater value to the consumer. Since the internet has made traditional branding less relevant, our job is now to create a great customer experience program and use digital media to enable sharing these experience far and wide.